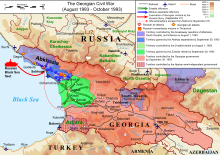 The ethnic cleansing of Georgians in Abkhazia, also known as the massacres of Georgians in Abkhazia and genocide of Georgians in Abkhazia — refers to the ethnic cleansing, massacres and forced mass expulsion of thousands of ethnic Georgians living in Abkhazia during the Georgian-Abkhaz conflict of 1992–1993 and 1998 at the hands of Abkhaz separatists and their allies. 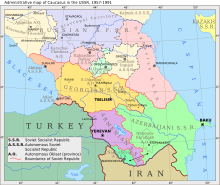 Armenians, Greeks, Russians and opposing Abkhazians were also killed. 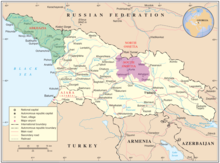 Roughly 200,000 to 250,000 Georgian civilians became Internally displaced persons (IDPs). The ethnic cleansing and massacres of Georgians has been officially recognized by the Organization for Security and Co-operation in Europe (OSCE) conventions in 1994, 1996 and again in 1997 during the Budapest, Lisbon and Istanbul summits and condemned the "perpetrators of war crimes committed during the conflict." 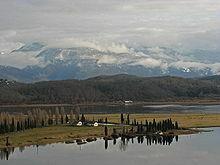 On May 15, 2008, the United Nations General Assembly adopted a resolution A/RES/62/249 in which it "Emphasizes the importance of preserving the property rights of refugees and internally displaced persons from Abkhazia, Georgia, including victims of reported "ethnic cleansing", and calls upon all Member States to deter persons under their jurisdiction from obtaining property within the territory of Abkhazia, Georgia in violation of the rights of returnees". The UN Security Council passed a series of resolutions in which it appealed for a cease-fire. 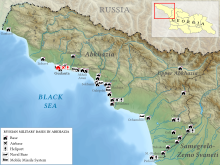 The Abkhazian Armed Forces are the military of Abkhazia. 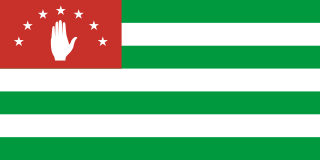 Abkhazian railway is a rail operator in the partially recognised state of Abkhazia. Under a monopoly agreement, it is fully managed and partially owned by Russian Railways for a ten year contract from 2009-2019. 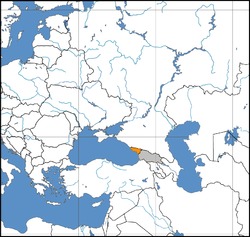 The Armenians in Abkhazia form the second largest ethnic group in Abkhazia after the native Abkhazians. 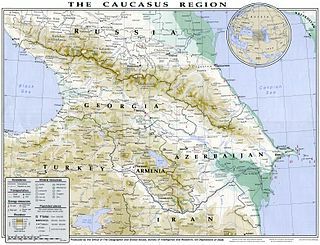 Armenians settled in Abkhazia in late 19th and the early 20th centuries and are now the largest ethnic group in Sukhumi, Gulripsh and Gagra districts forming 20% of the Abkhazian population with approximately 42,000 out of a total of 242,862.